At Land Rover Albuquerque, we know that purchasing a luxury vehicle is an exciting decision and process, and we want to make sure that each step is just as easy as the next— including in the finance department. By working with Land Rover Albuquerque, you’ll be set up with our finance experts in finding the right loan for your budget. We want our drivers in Albuquerque, South Valley, and Rio Rancho to drive away in their Land Rover vehicles worry-free, and have developed a finance process to ensure just that. 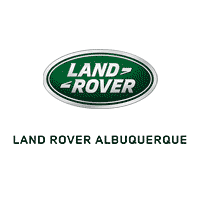 We want to make financing your vehicle a fast and easy process at Land Rover Albuquerque. Our goal is to make sure you’re completely comfortable with the financing options we’ll put in front of you. By having established relationships with banks and lenders in the Albuquerque, Rio Rancho, South Valley, and surrounding areas, we can reassure you’ll be in the best hands when deciding on your loan. Plus, we’ll go over any financial lingo or unfamiliar terms that might seem confusing at first. Another way our team at Land Rover Albuquerque ensures your financing process is quick and easy is by providing online tools that allow you to get started right from home! Value your trade. Enter some information about your current vehicle to see what it’s worth, so you can have a better idea before you come to our showroom. Calculate your payment. Play around with some numbers in our payment calculator to see what monthly payment you’ll be comfortable with. Apply for financing. Fill out our finance application right from the comfort of your own home, so we can process it quicker, and get you in your Land Rover model even sooner. Once you’ve checked out our online resources, including our online inventory with information on all our models, contact us at Land Rover Albuquerque today to set up an appointment. We look forward to getting you in your new Land Rover!